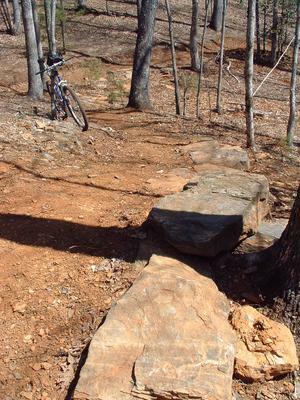 This trail is located in the Dupont State Forest area. For a list of all the trails in that area, see the Dupont State Forest trails list page. The lower end of this trail is brand-new; winds slowly up the dry slope below the airstrip on a moderate grade. The rest of this trail follows the old airstrip itself with a nice view. That part is no recommended, though on a hot, sunny day!